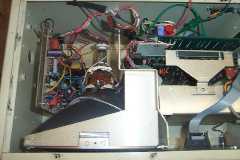 If you need your Monitor or CNC unit repaired then give us a call at 1-336-983-3862. We give free estimates and offer a full year warranty. Industrial Monitors can run up to $10,000 for a replacement from the OEM. If needed we can retrofit and/or reverse engineer a new replacement monitor into your existing case for a fraction of that cost. Normal repair cost for monitors run from $300 to $500. 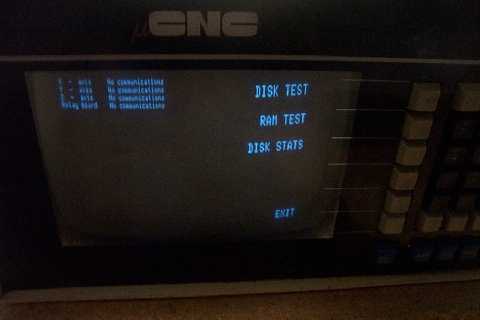 20 year old CNC Monitor and CPU, Operating System CP/M 2.2, micro Z80. Repaired CNC Monitor and CPU. How to Ship a Monitor in for repair. Be sure to always place the monitor in the shipping box bottom side down if it doesn't have a bottom pedestal. If it does have a bottom pedestal place monitor in box laying on its side. Wrap monitor in bubble wrap, newspaper, etc at least 4+ inches thick surrounding unit. Never use Styrofoam packing peanuts because they are an electro-static hazard. Always Mark the box FRAGILE. The following links provide information of how to package stuff for safe shipment.